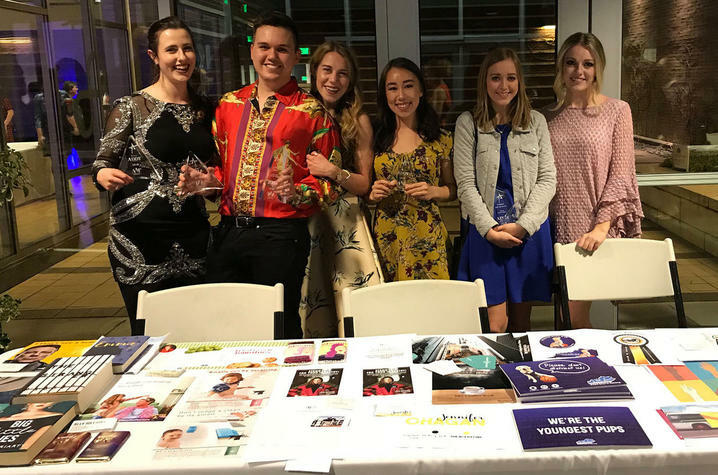 LEXINGTON, Ky. (April 16, 2018) — Several students from the University of Kentucky's Department of Integrated Strategic Communication (ISC) in the College of Communication and Information took home gold and silver at the 2018 American Advertising Federation (AAF) ADDY Awards this semester. ISC students won in the categories of sales and marketing, print advertising, cross-platform, out of home and ambient media, elements of advertising, and online/interactive. The theme of this year’s event was ‘Boundless’ in reference to the global impact of creative advertising. Rachel Hughes also won the Lexington Ad Club’s $1,000 student scholarship. 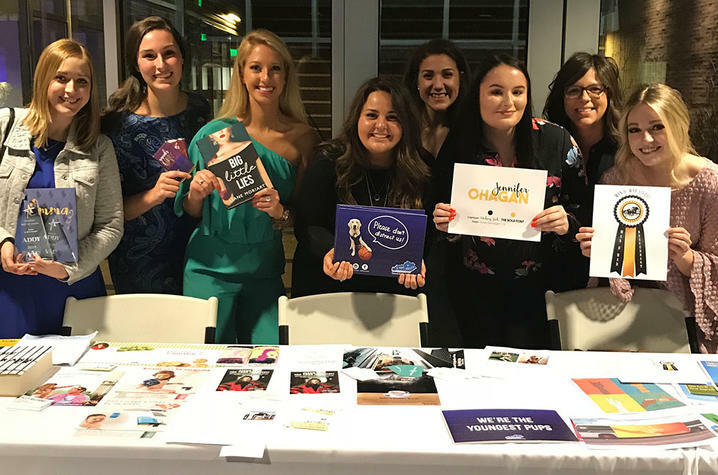 The entries submitted by students were produced mostly in ISC 331 and 431 classes, "Advertising Creative Strategy" and "Execution I and II," taught by assistant professors Adriane Grumbein and Laura Fischer. Grumbein and Fischer met with students outside of class to help them perfect their work. "I am incredibly proud of these students," said Grumbein. "They are creative, talented and all-around awesome human beings! And, their work speaks for itself. ADDY awards are nationally recognized awards in the advertising world. Having one on your resume tells employers you are the best of the best. I can't wait to see what lucky company gets to snap these students up because they're headed for greatness." The AAF ADDY awards competition is the first step in a three-tiered competition. Gold-winning entries advance to district competition, where judges decide which work will move on to nationals. The AAF was established in 1905 and is the “Unifying Voice for Advertising” as the only organization that includes members from all career levels and disciplines. The AAF has nearly 100 corporate members, over 200 college chapters and more than 200 local clubs nationwide. Annually, AAF hosts several programs, such as the Advertising Hall of Fame, the National Student Advertising Competition, the Mosaic Center on Multiculturalism and summer Ad Camps for high school students.